To celebrate the 5th birthday of the Twin Spin video slot, WinStar Casino offer a prize draw where 20,000 players will get a share of an incredible 1 million free spins! This unbelievable free spins promotion is available until 23:59 GMT on the 8th of November 2018 and this is a great opportunity to win a massive number of free spins that will be added to your account! Please note: participants in this promotion needs to OPT-IN. The 1 Million Twin Spin Free Spins promotion is a prize draw. Participants need to opt-in before they enter the draw. 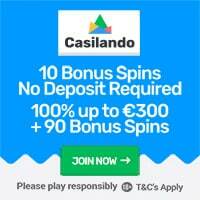 Once you have done so, you will earn 1 prize draw ticket for every £/€/$20 you wager in the Twin Spin video slot. You can enter up to 50 times per day so there’s definitely chances to get a good edge for those who are committed to go all the way. 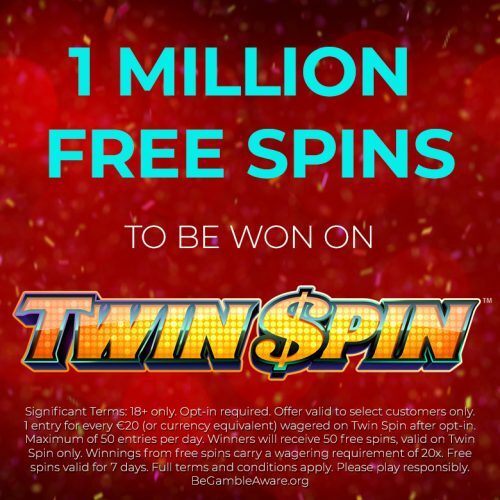 The 1 Million Twin Spin Free Spins promotion ends on 23:59 GMT on the 8th of November of 2018 and the winner will be announced on the 9th of November. Terms and conditions apply. Click here and Opt-in at WinStar Casino and get a First Deposit Bonus of 100% up to £/€/$250! Not a member of WinStar Casino yet? 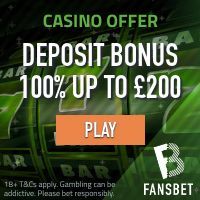 Click here and get 100% First Deposit Match up to £/€/$250!